1. 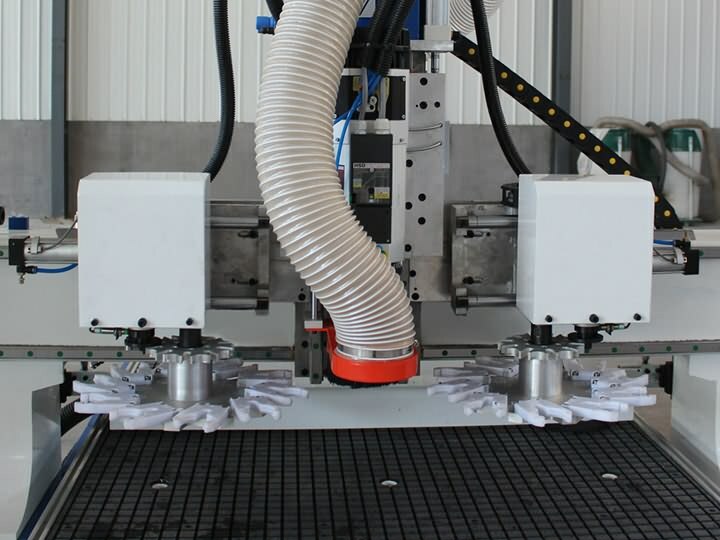 The whole machine uses high quality seamless welded steel structure, the assembly contact surface is used scraping process, the whole structure high-temperature aging treatment, upright and support plate, using aluminum cast process that ensures the high stability. 2. 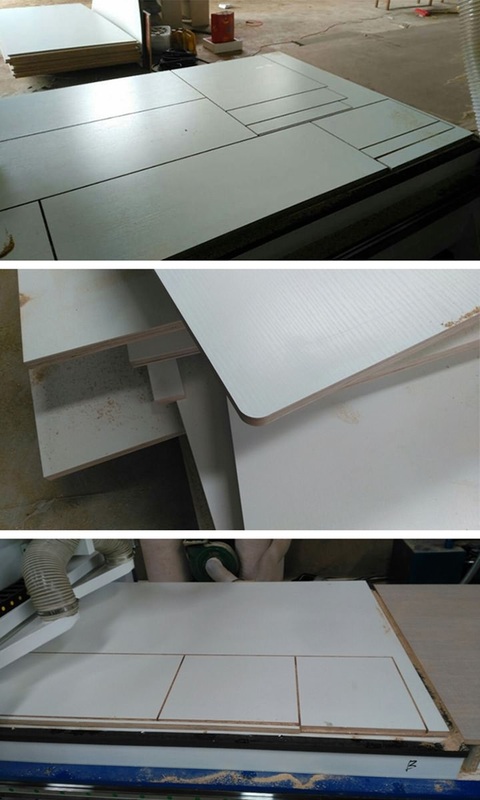 Driving rail adopts original Taiwan Hiwin 30mm square lead rail. 3. 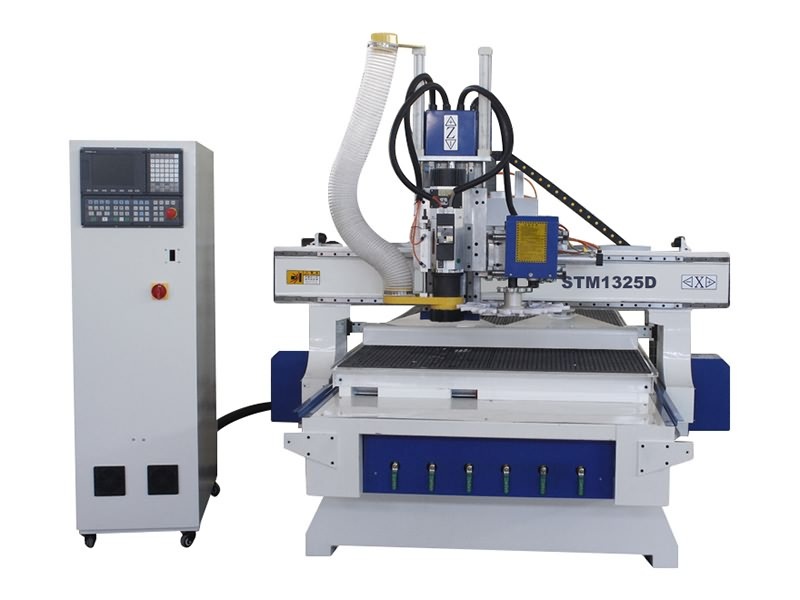 Z axis adopts Taiwan TBI original coarse pitch precise rubbing screw rod, high precision transmission. 4. 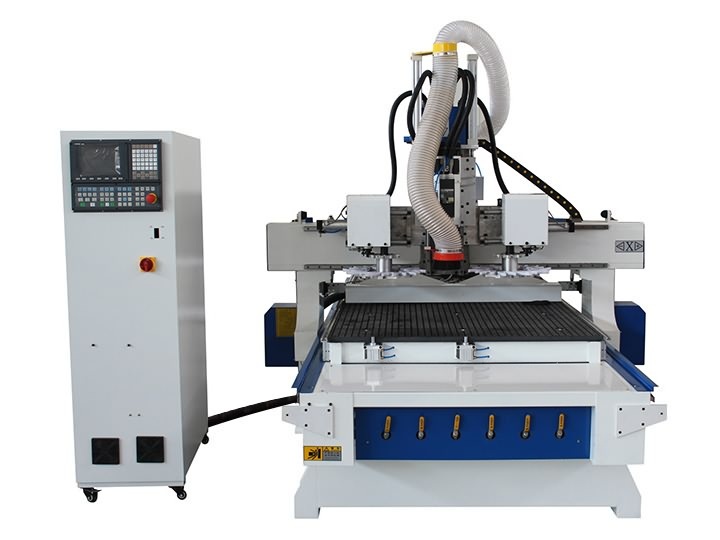 The CNC machining center adopts Italian high-speed HSD 9KW air-cooled spindle motor, spindle cooling fully guaranteed, it can work long time. 5. 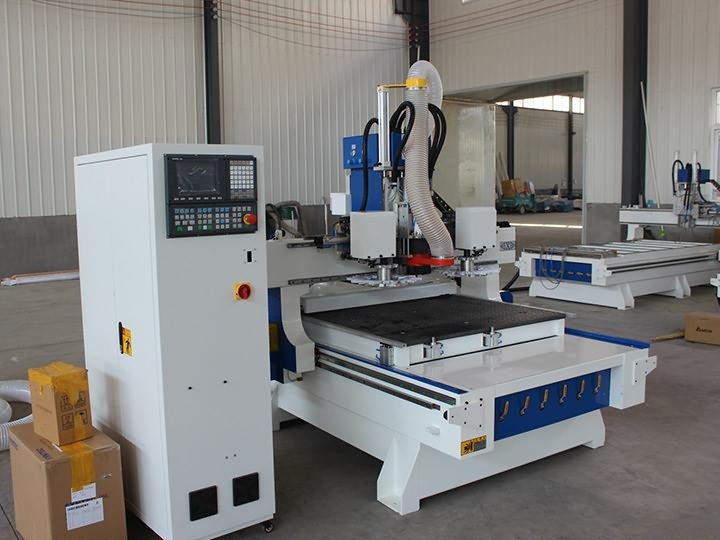 The CNC machining center adopts imported Japanese Yaskawa Servo drive system, torque, high precision, fast and stable performance. 6. 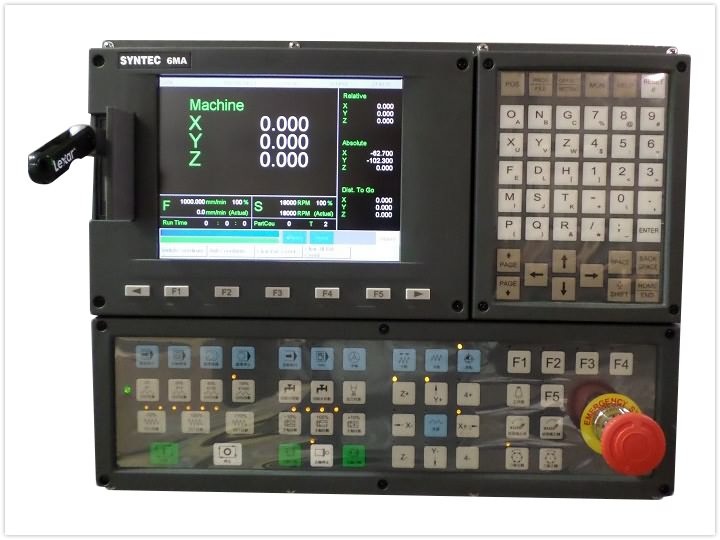 The CNC machining center adopts Taiwan Syntec controlling system, good compatibility, compatible with type3 /Artcam /Castmate /Artcut /CAD/CAM and other design softwares. 7. 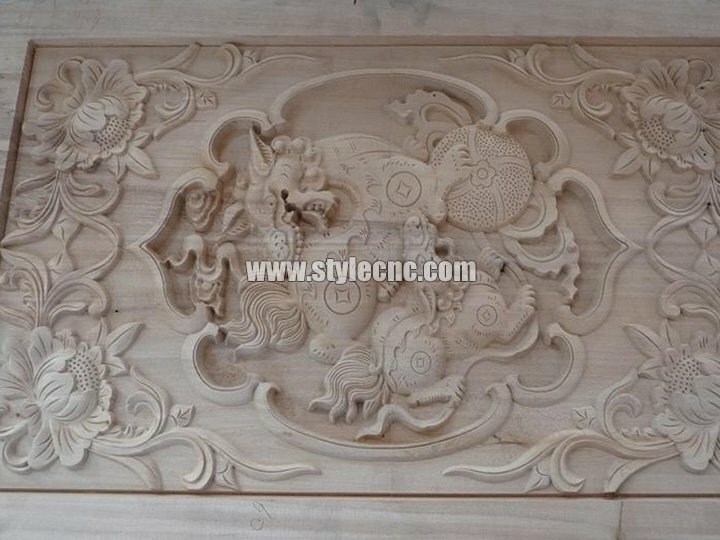 It can control the completion of multi-dimensional 3D processing, and can do fast, smooth three-dimensional processing, carving and cutting. 8. 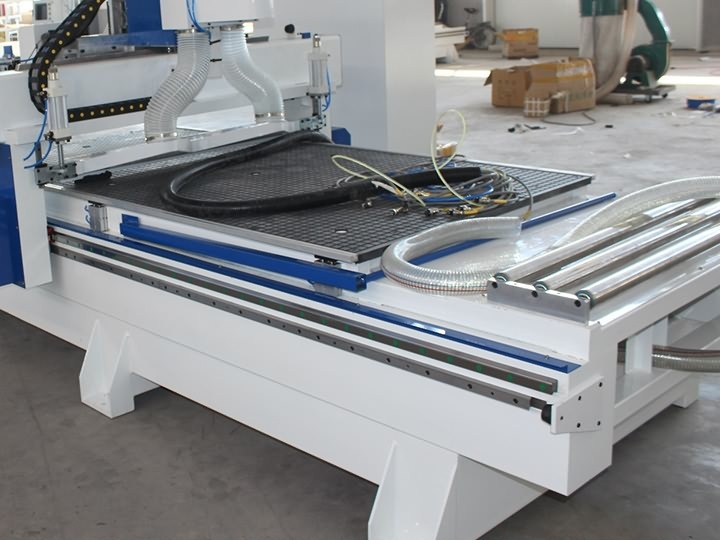 The CNC machining center table is vacuum adsorption countertops which is an international leader technic, made of high strength rigid plastic, high-absorption edge and strong adsorption of different sizes of materials, density, non-deformation. 9. 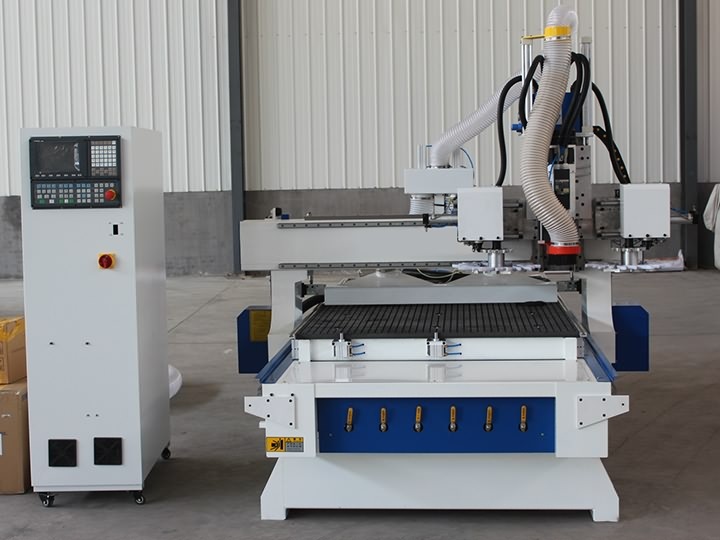 Auto-oiling lubrication system, easy to operate, greatly improve the life of the various components of the machine. 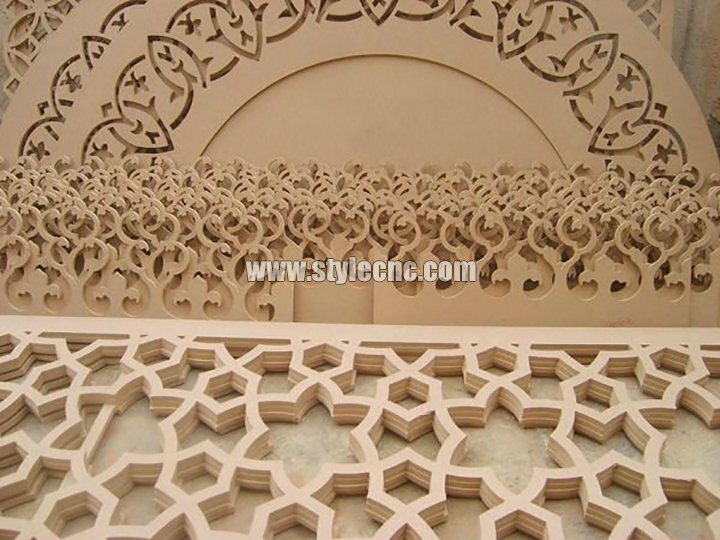 3 axis CNC machining center with ATC system is widely applied in industrial board cutting, mould manufacturing & processing, wooden products processing, building decorating & furnishing, stone, glass, copper, aluminum and advertising products processing, etc. 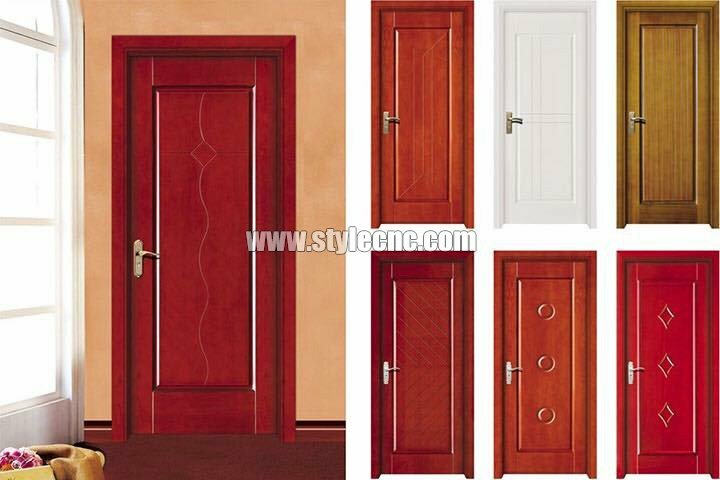 Ideally suitable for furniture decoration, musical instruments, wooden crafts, solid wood furniture, MDF paint-free door, wood composite door, cabinet, kitchen doors, windows, night table, etc. 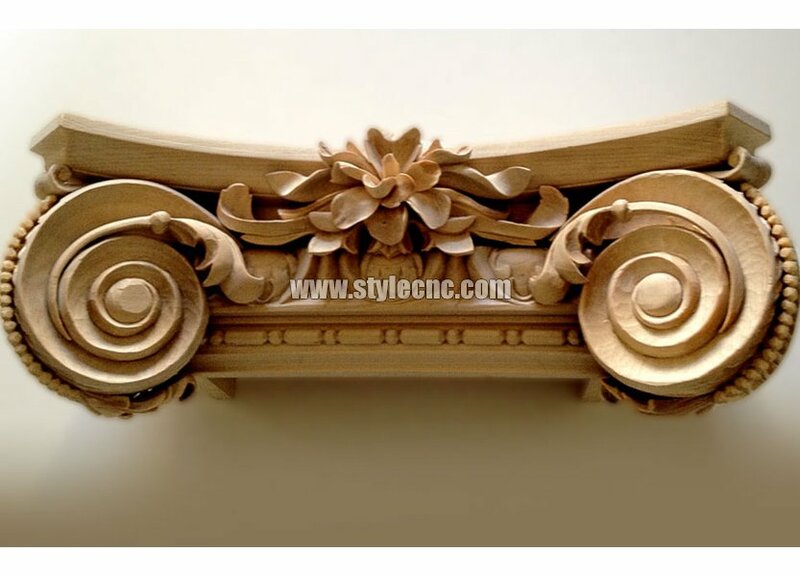 Art model, Wall Art, screen relief engraving and cutting, decoration processing, gifts wrapping, waved plate, electrical cabinets panels, sports equipment, and other wooden industrial products. 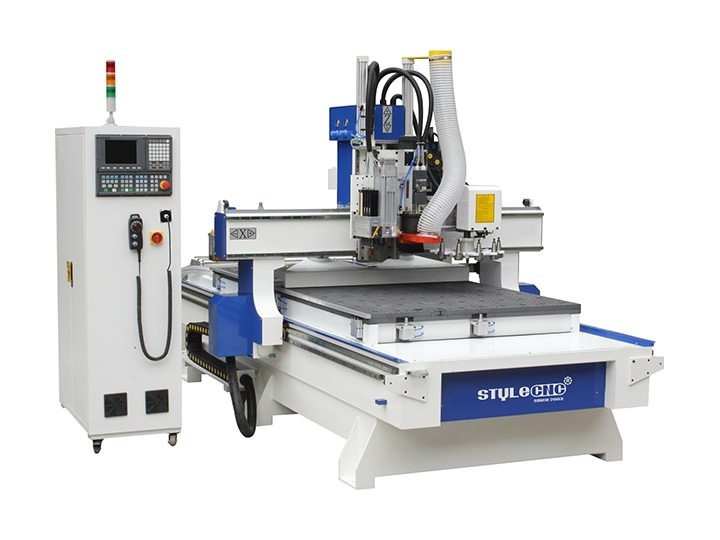 License: The text of "3 Axis CNC Machining Center with ATC System for Woodworking" by STYLECNC is licensed under a Creative Commons Attribution 4.0 International License. 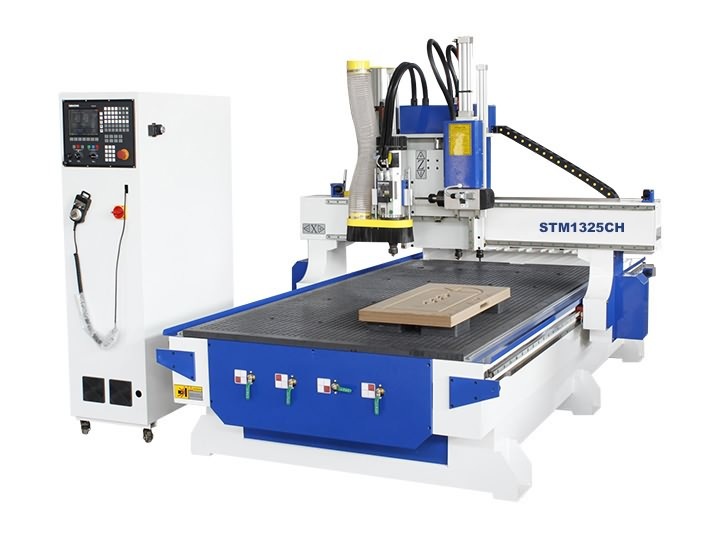 When you have an idea to buy a CNC router for 2D/3D woodworking, you can follow the CNC router buyer's guide to find the best CNC routers for woodworking of 2019.